Mentor, OH—The Mentor Ice Breakers have announced the signing of two players to PTO contracts. Forward Mark Deazeley has been signed to a celebrity PTO and will be available for this weekend’s games against the Danville Dashers. Additionally, defenseman Joseph Keenan has been signed to a PTO and will join the team immediately. In a corresponding move, defenseman Connor McNary has been waived. Deazeley, 46, is a former teammate of Ice Breakers Head Coach Iain Duncan. 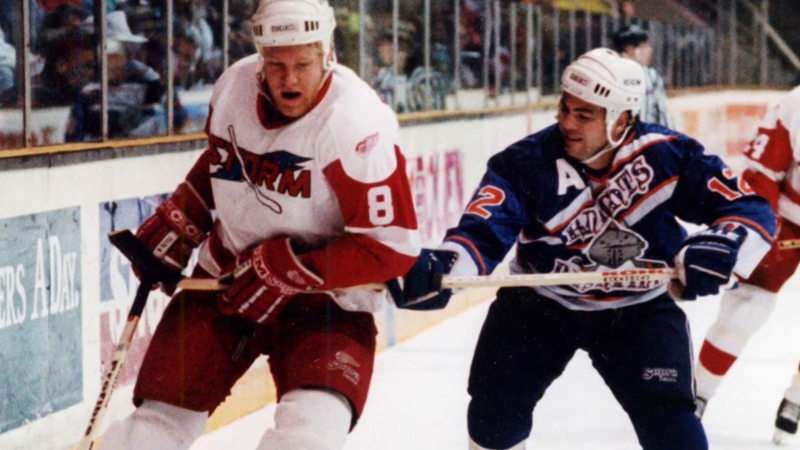 He played a key role alongside Duncan on the Toledo Storm’s (ECHL) 1993 and 1994 Riley Cup championship teams. The Toronto native was inducted into the Toledo Hockey Hall of Fame in 2017 and racked up 254 points (139-115-254) over 325 career ECHL games. In the 1993-94 season, Deazeley scored 41 goals and dished out 36 assists for a total of 77 points in just 57 games. He was nicknamed “The Diesel” for his imposing 6-foot-4, 237-pound frame. Keenan, 22, comes to Mentor after appearing in 20 games with Tibro IK in Sweden’s Division 2 earlier this season. The Hatboro, Pennsylvania product played for the Bradford Bulls last season in the GMHL, putting together an 8-22-30 scoring line in 37 games. Keenan is a left-handed shooter and stands at six-foot, 170 pounds. He will wear number 7 for the Ice Breakers. The Ice Breakers, proud members of the Federal Hockey League, are in their inaugural season. Single-game tickets and ticket packages are available 24/7 online at mentoricebreakers.com/tickets. They can also be purchased at the box office prior to every home game or by calling (440) 290-8502.